We offer affordable and effective, infection control products and services to Dental Offices, Assisted Living, Nursing/Medical Center and facilities and Hospitals. Call us today for a free estimate and request an in-office demo (801) 438-7632. Infection Control and whole room disinfection is now amazingly affordable. Germ Champs has brought the EPA approved Sanosil Halo Disinfection to Utah. Call us today to learn about this incredible system and how it can save your facility or office thousands of dollars. Assisted Living/Nursing Facility: Thorough disinfection is mandatory at assisting living and nursing facilities. Residents have weakened immune systems which can leave them far more susceptible to illness and infection. Our powerful solution is non-toxic, eco-friendly, EPA approved, and has been proven to work against the Avian Flu H5N1, HIV-1, Swine Flu H1N1, Salmonella, E.coli, C-Diff, MRSA, Rhinovirus, mold, fungus, and Salmonella. Dental Offices : When patients arrive at your dental office, they want to have the assurance that the facility is clean and safe. Pathogens can easily spread when work is being done orally. It’s critical that all surfaces are disinfected. Our dry fog technology allows us to disinfect all areas of your dental office, while still remaining eco-friendly and safe for you, your patients and sensitive electronics. Medical Offices : Medical offices should set the standard in infection control. With patients coming in and out all day it is important that infection control standards are a main priority. 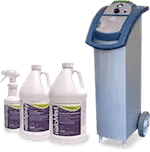 Germ Champ is a leader in the industry and it provides hospital-grade disinfecting services and products so that your office and patients are protected against the influence of bacteria, viruses, mold and fungus. Hospitals : We provide a hospital-grade disinfectant that is used by hospitals nationwide. Our Germ Champ/Sanisol® Dry-Mist disinfection system is EPA validated to kill 99.9999% of (hard to kill) C.Difficile spores. 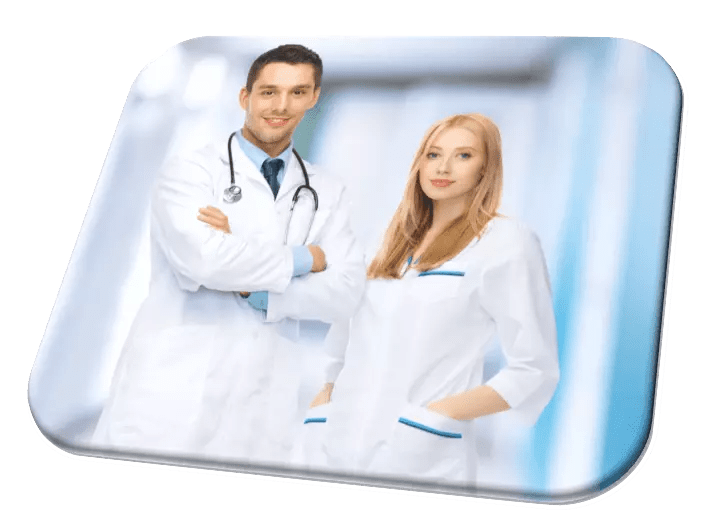 Hospitals serve the purpose of protecting and improving health, and with our effective products, we can help you obtain outstanding infection control. Reduced their hospital-associated C. Difficile cases by 66% after starting below national average infection rates and going way below that average. For a 496 bed teaching hospital in an urban setting, they are down to 0,1,2 cases per month generally, with an occasional spike to 3 cases. You simply can’t get lower than that while still allowing visitors and cross-room traffic of staff. They save about $10 for every $1 they spend on infection control services. Allow us to help you prevent the spread of pathogens. To learn more about our quality our infection control products and services, contact us at 801-438-7632.